Evelyn Norris had a long and storied association with Raffles Girls’ School (RGS). She was a student, then a teacher there and, from 1961 to 1976, its Principal. Her connection to the school was such that when she was ailing in her 90s, with no immediate family to look after her, a panel of six alumnae got together to apply to the Courts to be deputies for her care. When Evelyn died at the age of 95 in 2014, hundreds of students from RGS, and from Crescent Girls’ School where she was in 1956 the founding principal, attended her wake and funeral. Her former pupils remembered her as a dedicated and inspiring teacher and principal who led by example and for whom the well-being of her students was paramount. As RGS principal, Evelyn was a dynamic and hands-on leader who made some innovative changes to ensure that the school kept pace with Singapore’s evolving education policies. A firm believer in the importance of an all-round education, she made sure that all students took both science and humanities subjects. This continues to be a pillar of RGS. She also encouraged students to be active in co-curricular activities and made sure the girls had a wide range of options. She started the 2nd Singapore Guide Company at RGS, and then got the National Police Cadet Corps and National Cadet Corps going. She introduced sports such as softball, volleyball, tennis and basketball, and arts activities such as an orchestra, a violin group and an angklung group. To show her love for animals, she used to bring her mongrel Brownie to school and the dog often accompanied her on stage. In a prescient move, Evelyn began the practice of conducting assembly in English one week, then in Malay the next week, and then in Tamil. Some of the singing classes, debates and story-telling sessions were in Mandarin. As a result, when the learning of a second ‘mother-tongue’ language became mandatory, RGS students were not fazed because they had already been exposed to the various national languages. Evelyn was a student at RGS from 1924 to 1933. She then spent a year at St George’s Girls School in Penang, then did a History degree at Raffles College after which she got a Diploma in Education. Her first teaching job, in 1939, was at Bukit Panjang Primary School. She spent the WW2 years in Sri Lanka where she was a volunteer with the Royal Air Force. After the war, Evelyn became a history teacher at RGS. A natural orator, she rarely referred to the textbooks. Instead she drew upon her life experiences to make the history lessons come alive for her students. In 1956, Evelyn was asked to help start Crescent Girls’ School. Together with a handful of teachers, she built up the school up from scratch. With CGS firmly established after five years, Evelyn returned to her alma mater as Principal. 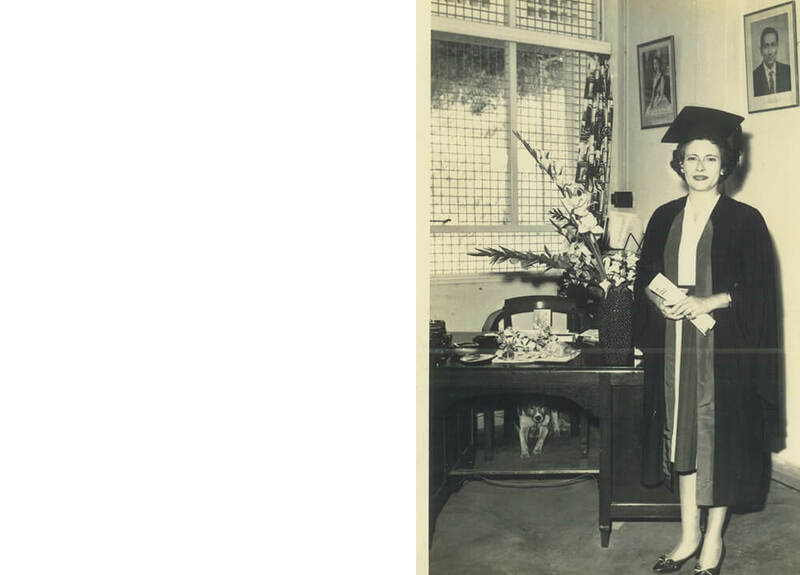 Apart from her work as RGS Principal, Evelyn served on various Education Ministry committees, such as the Syllabuses and Textbook Committee and the History Committee and had a hand in revising the history syllabus from about 1958. She also served on Advisory Committees on the Cambridge examinations, and on numerous interview boards at PSC levels for bursaries, teacher promotions and so on. She was on the Youth Festival Committee from its inception, as the chairman of finance, and on the Physical Education Activities Advisory Committee. 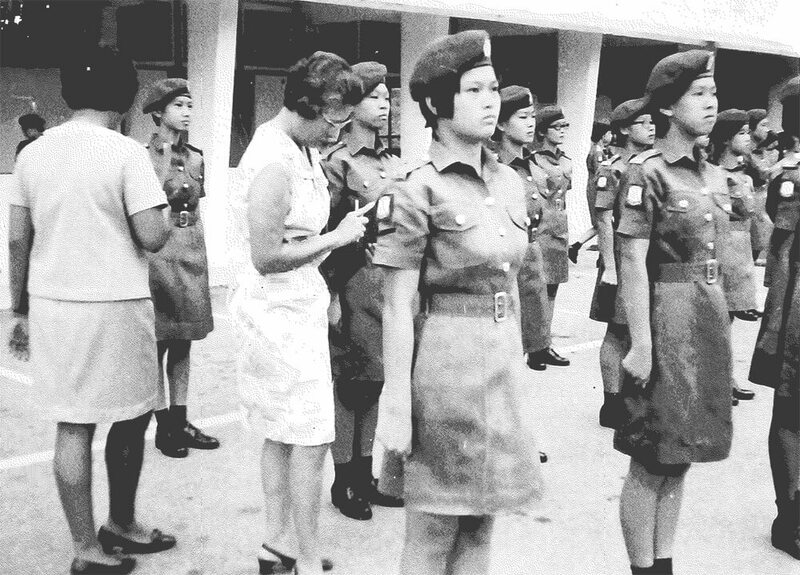 In the People’s Defence Force, Evelyn held the rank of Major commanding the Singapore Women Auxiliary Corps, a post she held until she took over command of the girls’ section of the National Cadet Corps. Upon her retirement from the education service in 1976, Evelyn continued to be active in community work for nearly thirty years. In particular, she was a regular volunteer at the Society for the Prevention of Cruelty to Animals (SPCA), together with her sister. 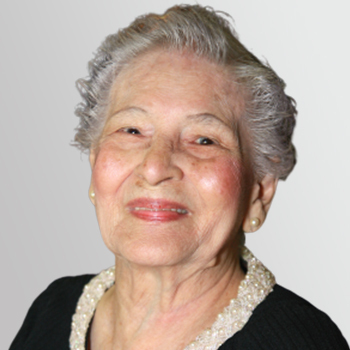 Her bequest was to the three organisations close to her heart, RGS, SPCA and her church. She truly lived up to the RGS motto: Fliae Melioris Aevi, Daughters of a Better Age.